All our staff have full First Aid and Mental Health First Aid accreditation. 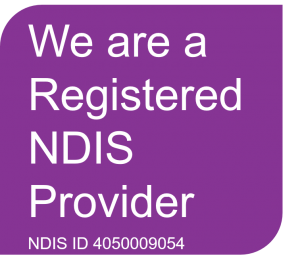 We know having a chronic disability of any type can predispose you to mental health problems and for this reason we want to be able to assist you with understanding where you are up to and help you get help should it be necessary. We know that a positive contributor to good mental health is connections within the community. The ability to access and participate in the community is determined sometimes by economics but largely on the type of features that the community has. This is not just about disabled access and toilets, these are important, it is about the acceptance that you may take a bit longer to do things. We may need things to be explained slowly, People accepting that you need someone to treat you like you know what you like and want, you just havent decided yet. Its about acknowledging the whole person. being kind, caring and inclusive and not condescending. We want to promote good mental health for people with disabilities, physical, emotional, mental or psychological and help people access the sort of help that improves their mental health over time. This may be counselling, hobbies, social outings and many other aspects that help bring enjoyment to a person’s world.